Smoking is a bizarre convention. It’s weird in so many ways. I’m much too highly evolved to engage in such a destructive and wasteful habit — I prefer potato chips — but as smoking became an awkward and shunnable offence over the past couple of North American decades, I started to notice that puffers had some advantages I didn’t, and some wisdom I could’ve used. I just posted an article to this effect from 2005, one of a bunch that never saw the light of publishing day. It’s in the On Second Thought section. Also, the so free and easy to subscribe it’s almost sinful button is just over there on the right. Where do I start? you may be wondering if you’re new to JamesHowden.com . One way is to look at Eighteen Great Posts from 2013. You can see the list here, with delectable links if you want to go read them (again). 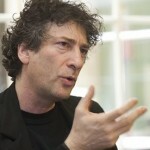 Gaiman: a humane, generous and eloquent spokesman for the arts of reading and writing. Many a Journal has been written this semester, but not a one by me. Time to change that, ‘though as the photocopier hums merrily along behind me with last-day-of-class exam preparation sheets and other items of ground-wobbling importance, I’m not sure I’ll be able to complete the required full page. But it’s a start. After writing Journals quite madly for years – including, often, those written alongside my sweating students as they scribbled theirs – I’ve been in a Journal Drought. I’ve written many another thing, and some of ‘em were green and growing, but my personal coil-bound thought sanctuary has been a desert. So this rambling scramble of a letter is my first baby step toward the restoration of my own private record-life-as-it-happens-so-I-learn-and-remember habit. After hearing Sheldon Kennedy interviewed by Jim Rome a couple of weeks ago, I wanted to read his book, the finally I’m ready to tell about all this stuff publication of his memoir of his hockey career but especially of the years-long sexual abuse he endured from a trusted coach. One of the bitter ironies of Kennedy’s life is that only now, after a very successful junior career and a journeyman’s eight years in and around the NHL, is he rediscovering the love and joy in the game that he had known as a child. Why I Didn’t Say Anything: The Sheldon Kennedy Story is very affecting reading, and answers most of the quiet wonderings I’d had about this episode, a tale which I mainly knew from sensational headlines and brief interviews. His voice comes through strongly but reasonably and without bitterness, though his co-writer and editors have allowed many grammar errors and typos to remain. (Kennedy tells of a healing encounter with residents of the Morley Reserve during his cross-Canada skate to heighten awareness of sexual abuse. The meeting was so emotional, he reports, that “everybody was balling” after it. What, a 3 on 3 hoops tourney broke out?) This is certainly not high literature, but the raw sincerity of Kennedy’s prose is a revelation and a challenge to anyone who cares about sport, about children, or about the personal and societal damage caused by sexual abuse. It’s a quick read and a useful one. When it comes to books, serendipity often trumps my usual fussy inclination toward list-making and order and the sternly beckoning Should-Reads. I’d heard about John Banville’s novel The Sea, because it won the Booker Prize for fiction in 2005. For English speakers other than Americans, the Booker is the pre-eminent literary prize in the world. (American writers aren’t eligible, and in any case they have their Pulitzer Prize, which I’ve heard carries a bit of heft in the excited States.) I hadn’t read a Booker winner since 2002’s Life of Pi (Yann Martel, one of two Canadians to win*) and 1998’s Amsterdam (Ian McEwan). The Sea jumped into my view as I passed the Express Read shelf of my fine local library (Only seven days ‘til $5 daily fines!). It took me some time to warm to Banville. It was clear immediately that he’s awfully good – he’s been Booker-nominated before, and I doubt he sells hugely – but I wasn’t swept into The Sea until about midway through. (Of course, this might have been due to my giving it only my tired moments, or to coming at it after an extended period of reading only non-fiction.) The narrator is not an awfully sympathetic character, at least not initially, and his story flips relentlessly from his elderly present to the recent past to one epochal adolescent summer. Banville also attempts the difficult feat of giving voice to a man who comes to self-awareness only late in life, and we realize things often at the same time as the narrator does. He’s diffident, often unsure, bitterly self-critical and even dismissive, and despite the beautiful turns of phrase he is often a hard guy to spend time with. But I found the challenges – including the experience of coming across entirely unfamiliar words in fiction (the narrator is an academic), which most of us don’t do much after the age of 19 or so – more than worth it. The book is less than two hundred pages long, and the first three quarters compellingly prepare the ground (but not the reader) for the revelations of the home stretch. I want to read it again. I wanted to start right away, but the library was beckoning. If I am to follow the wisdom of the “read it before you own it” school of book buying, The Sea is a great candidate, besides containing writing that any writer is likely to want to experience again. On the other hand, I now have the complete list of the Booker short lists and winners since 1969, and there are many MUSTS included on that list. I’ll approach them systematically, at least until the next bout of accidentalism strikes. 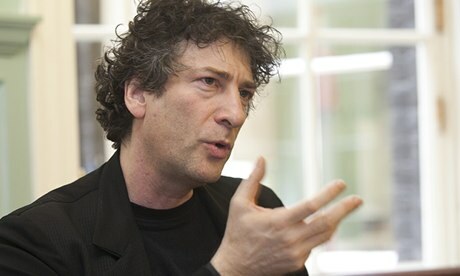 * The other was Margaret Atwood for The Blind Assassin, one of her four nominations. You can collect your prize at any good bookstore. Serendipity lives. Despite my love for the contents of my own little basement-bound library, I still find myself looking for (and believing in) the Right Book at the Right Time. I’m an accidentalist by literary nature: am I dialled in to the there are no accidents synchronicity of the spiritually wired world? Or grasping at the bookish straws of superstition? Take your pick. But I have learned that I don’t need to pack much homefront reading material when I travel, because text will find me. Sure, too often it’s just that day’s sports or entertainment in another town’s newspaper, but it’s surprising how often I whimsically come across a text that I’d been looking for, or one that filled a need I didn’t know I had. Today’s example comes from an aimless stroll through my local library. Living in the big city now – and Ottawa is hugely sophisticated compared to all my tiny towns – libraries are a whole new deal for me. They’re better than the one at home. There’s great stuff everywhere. On my way to the periodicals, I was stopped by the fairly plain cover of a book featured on the end of a shelf. Why Read? was its title, and why not? was my magnetized reply. [L]iterature…is the major cultural source of vital options for those who find that their lives fall short of their highest hopes,…our best goad toward new beginnings, our best chance for what we might call secular rebirth. However much society at large despises imaginative writing, however much those supposedly committed to preserve and spread literary art may demean it, the fact remains that in literature there abide major hopes for human renovation. You will see that Professor Edmundson is not one for the microscope, not an advocate for poetic alienation and identity politics. “Books…are for nothing but to inspire.” Edmundson starts with Emerson, and builds from there a passionate and sweetly worded argument that is addressed firstly to those (his colleagues) who teach literature, and secondly to students who “read over the shoulders of your teachers”. 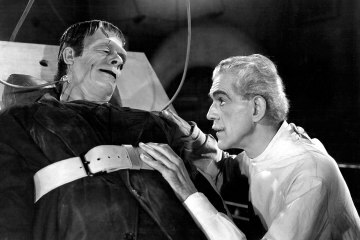 He laments the loss of a truly liberal education in America: “Universities have become sites not for human transformation, but for training and for entertaining…. [S]tudents use the humanities…to prepare for lucrative careers…[to] acquire marketable skills…[or as] sources of easy pleasure.” Edmundson, meanwhile, wants them to be MOVED, “to become other than they are”. He insists on personal transformation as the basis of a true education. “’You must change your way of life,’ says Rilke’s sculpture of Apollo to the beholder. So says every major work of intellect and imagination, but in the university now – as in the culture at large – almost no one hears.” Mark Edmundson is gloomy about the way that his beloved literature has been used, torn asunder, isolated or completely abandoned in contemporary life, but goes on to suggest the ways it might be rehabilitated, and therefore help to rehabilitate us. He has something of the tone of the prophetic voice crying in the wilderness, and this emotional appeal combined with his reasoned and gorgeous prose lends it real credibility. I was reminded of another citation of the great German poet Rainer Maria Rilke, this in the Canadian literary journal Brick. Included in the publishing data at the front of each issue is this statement of literary philosophy: “Works of art are of an infinite loneliness and with nothing to be so little appreciated as with criticism. Only love can grasp and hold and fairly judge them.” Professor Edmundson would surely approve my added emphasis, and he echoes this frankly ecstatic tone throughout this excellent book. Why Read? is a profound meditation and a call to ivory tower action. I wonder how many are listening. Readers are Leaders was one of the main mantras of my teaching career, and no doubt it also soothed me regarding the undeniable Rightness of my constant hunger for text. But one of my annoying little assignments along The Artist’s Way this week has been reading deprivation. In a life like mine, that’s not such a small thing, actually, and though it has been easy to slip into that mindless groping for typeface, I’ve been surprised by how much I like it. It’s a relief. It makes me realize (again) that reading is not some lazy-boy dodge for me but a ravenous, indiscriminate and chronically unsatisfiable quest. I highly recommend it to the reading-addicted. “Readers are leaders!” I harangued my classes, but “put the book down and go DO something!” has been a regular jab at my hyper-literate sons and even, now, their book-snaky Dad. “They say that life is the thing, but I prefer reading!” That has long been one of my favourite quotes (I forget who wrote it), but it’s not quite so funny anymore. It’s been good to find new ways to live in the evening, and it wasn’t all Adventures in More Timely Housework (though I even enjoyed some of those). I finally repaired those loveseat cushions. You might say it was only packing tape, but it was Industrial Design to me!